According to the National Council on Aging, one in four adults in the United States who are age 65 or older fall each year. And, every 19 minutes an older adult dies because of a fall. Because of the danger of falls and their prevalence, it’s important to understand what contributes to falls since it may help you to prevent a fall in your older family member. Muscles tend to get weaker as people age. This results in a lack of support for the body and can also affect balance. Weak muscles also make it more difficult to do some daily tasks, which may also lead to a fall. In addition to normal muscle changes that come with age, older adults often do not get enough exercise to help maintain muscle mass. Home care can help seniors to keep their muscles stronger by encouraging them to be more physically active. Home care providers can involve older adults in physical activities around the house or drive them to exercise classes. Many of the chronic illnesses that occur in older adults make falls more likely. Conditions like diabetes, arthritis, Parkinson’s disease, and others can affect strength and balance. People with more than one chronic condition have an even greater risk of falling. Home care providers can help manage chronic illnesses by reminding seniors to take their medication and driving them to medical appointments. Many medications have dizziness as a side effect. 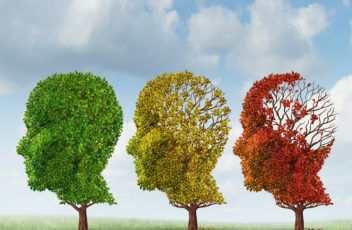 In addition, the way the body metabolizes medicines changes as people get older, which can make them stay in the body longer or interact with other medications. Home care can watch for signs of dizziness and allow the senior to sit until it passes. 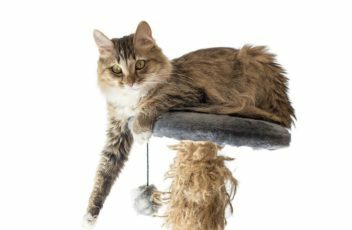 They can also help them to get safely to a place where they can sit or lie down. Not being able to see or hear well can lead to falls. Poor vision makes it harder for seniors to see what is coming as they walk, such as uneven surfaces. Problems with hearing may make it harder to hear someone or something coming up behind them, causing them to startle. Home care can help seniors with vision and hearing problems to navigate safely. They can lend a steadying arm and warn the older adult about upcoming obstacles. 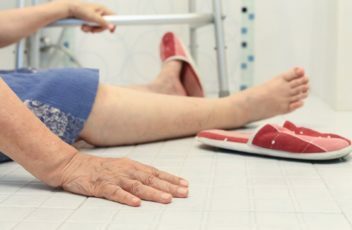 There are many things around the home that can lead to falls, such as unnecessary clutter that may cause the senior to trip. Uneven surfaces, lack of handrails, and slippery floors are also a problem. 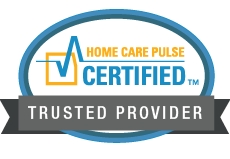 Home care providers can help with some environmental factors in the home. They can keep the house tidy so that there is nothing for the senior to trip over. They can also remove throw rugs that slip or can cause tripping. Should Your Parent Still Have Elderly Care When They Live With You? 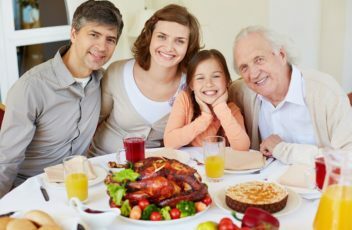 Living with you and the rest of your family can be a very beneficial transition for your aging parent. This can bring them into closer proximity of their family caregiver for greater support, take away the financial burden of managing their own home, and benefit the family by creating a closer bond while also giving you more time and flexibility. If you are considering having your parent come to live with you, you may think this means you are then completely responsible for all of their needs, and should not consider having any care for them. This is not necessarily the case. Even if your parent lives with you, having elderly care as a part of their routine can be extremely beneficial for everyone involved. Provide consistency of care so even as your personal schedule changes, you can feel confident your senior is still getting everything they need. Give you flexibility in your daily life to manage all aspects of your day rather than only worrying about your parent’s care needs. Ensure you are available for other things, such as attending activities with your children. Provide for ongoing care when you are at work or otherwise out of the home. Allow for more independence and autonomy for your senior who can rely on an elderly home care services provider for transportation to activities, errands, volunteer opportunities, and more so you do not have to always be the one to provide this transportation. Provide for diversification of care and mental stimulation through activities and companionship. Provide respectful and dignified assistance for potentially sensitive tasks such as bathing. Support and physical assistance for participating in activities and outings with the family so you can focus on enjoying the experience and taking care of your children. There’s a common misconception that elderly care is only beneficial for those who are extremely elderly, have extensive challenges, or have no family near them. This is not the case. Instead, the customized services of an elderly home care services provider can be exceptionally beneficial even for those seniors who have ongoing support from their family, only suffer mild to moderate needs, and have remained largely independent. These services are fully customizable, which means your parent receives what they need and when they need it. The services are tailored to handling their challenges and needs in the ways that are right for them while promoting a quality of life that they desire and deserve. These services can benefit your parents by saving their energy, saving their time, boosting mobility, offering transportation, and more. 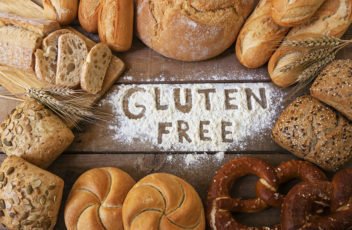 July is Sandwich Generation Month – Are You a Member? Janet is a mother of two children, both in middle school. They are involved in sports and other school activities, so Janet is constantly running them from place to place. And, of course, Janet holds down a full-time job. In addition to all of that, Janet spends a great deal of time helping her elderly mother with day to day tasks. If Janet’s life sounds a lot like yours, congratulations! You’re a member of the Sandwich Generation. 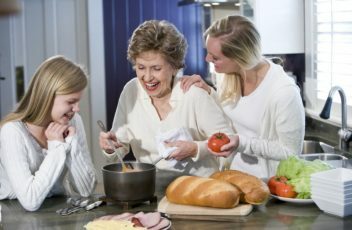 The term “Sandwich Generation” describes adults who are sandwiched between caring for children of their own and are also family caregivers for their aging relatives. Who Are the Sandwich Generation? According to the Pew Research Center, around 71 percent of people who are caregivers for older adults while also taking care of their own children are middle-aged. They are between the ages of 40 and 59. 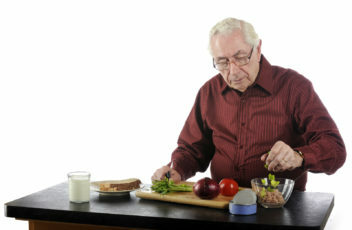 Additionally, 19 percent of the sandwich generation are under the age of 40 and 10 percent are 60 or older. Clearly, the term “generation” in this case isn’t defined by your age, but by your situation! Interestingly enough, statistics show that people of Hispanic descent are more likely to be in this situation than Caucasians or African Americans. In fact, 3 out of 10 Hispanics are in the Sandwich Generation. Don’t Give Up What’s Important to YOU: If you love your job and it’s a part of your identity, don’t give it up to spend more time as a caregiver. Instead, find other ways to create extra time in your life. This applies regardless of what is important to you, whether its volunteering, a hobby, or something else. 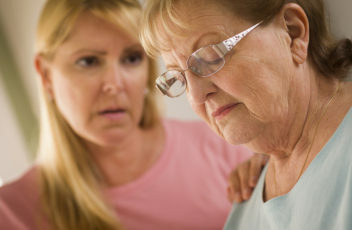 Take Care of Yourself: Caregivers have a tendency to neglect their own well-being for the sake of others. Make time to exercise, eat healthy, and attend your own medical appointments. Set Your Priorities: It can help to write down your priorities and keep them where you can see them. This can help you address the most important things first when you’re pressed for time. If those tips for finding balance sound easier said than done, you might benefit from hiring a professional in-home caregiver. Professional caregivers can look after your aging relative while you spend time with your children, work, or make time for yourself.